This mandala was a private commission for a home in San Miguel de Allende, Mexico. It is available as a high quality and archival Giclee print with image size 16" x 16" in an edition of 50. Each print comes signed, numbered and with a certificate of authenticity. 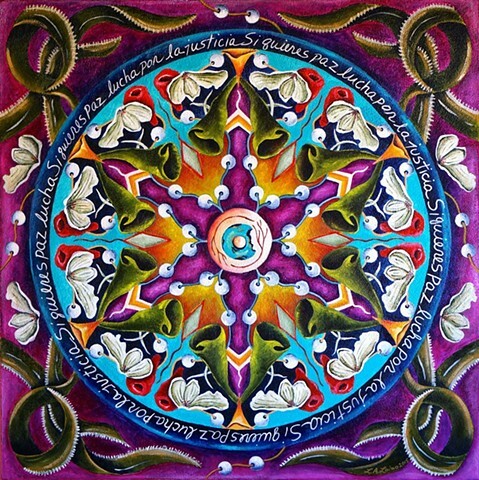 Mandala 8: "Si quieres paz, lucha por la justicia"